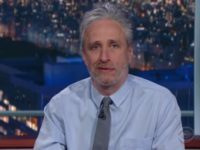 Jon Stewart told NBC’s Today Show Tuesday that he was “stunned” by the news that his close friend and colleague Louis C.K. 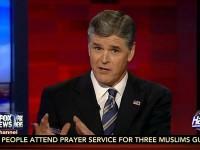 admitted to exposing himself to and masturbated in front of repulsed women. 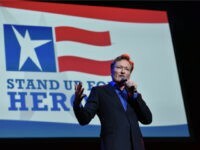 Some top comedians — including John Oliver, Jon Stewart, Trevor Noah and Conan O’Brien — helped raise money for military veterans Tuesday night at a raucous event at Madison Square Garden in which many of the best barbs were hurled at the current commander in chief. 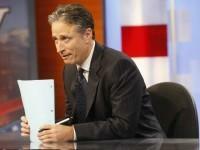 HBO has discarded plans for an animated political comedy series from former Daily Show host Jon Stewart. 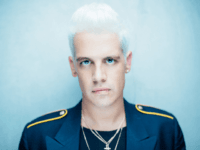 A piece from the Columbia Journalism Review says the successes of Breitbart Senior editor MILO and President-elect Donald Trump are a response to late-night comedians like Jon Stewart and Stephen Colbert, who are notorious for attacking opponents of progressive America. 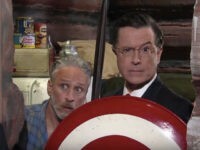 Jon Stewart made a cameo appearance on a special live episode of the Late Show Monday night to help host Stephen Colbert convince a young girl (and America) to vote for Hillary Clinton and stop Donald Trump. 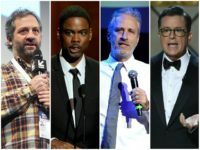 Jon Stewart trashed Donald Trump during Bob Woodruff’s 10th annual Stand Up for Heroes comedy fundraiser at the Theater at Madison Square Garden Tuesday night. 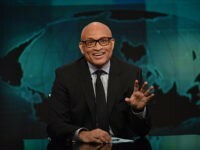 Comedy Central has cancelled its perpetually low-rated late-night program The Nightly Show with Larry Wilmore. 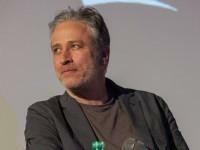 Jon Stewart could return to television before this year’s presidential election, HBO programming chief Casey Bloys revealed this weekend at the Television Critics Association summer press tour. 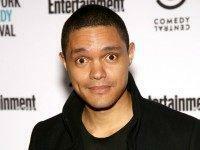 Comedy Central’s The Daily Show suffered a technical glitch during a live broadcast late Thursday night as the program debuted a Rosie O’Donnell-narrated skit mocking Donald Trump, who had just finished speaking at the Republican National Convention. 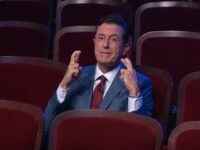 Former Daily Show host Jon Stewart returned to late-night TV Monday night on The Late Show with Stephen Colbert to attempt to “make sense” of Donald Trump’s presidential candidacy. 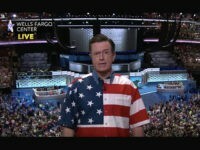 Former Daily Show host Jon Stewart is set to join The Late Show with Stephen Colbert during its live coverage of the Republican National Convention this week in what could be part of a push to boost the CBS late-night program’s disastrous ratings. 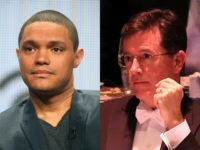 Comedy Central’s The Daily Show failed to earn an Emmy nomination for the first time in 15 years after nominations for the best series in television were announced Thursday morning. 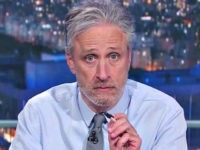 Former Daily Show host Jon Stewart chimed in on the presidential election Monday, calling Donald Trump a “man-baby” and jokingly questioning the presumptive Republican nominee’s eligibility to be president. 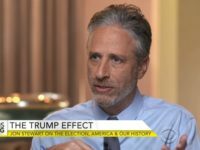 Former Daily Show host Jon Stewart took several jabs at Republican presidential candidate Donald Trump on Thursday while hosting a ceremony in celebration of the 75th anniversary of the United Service Organizations (USO). 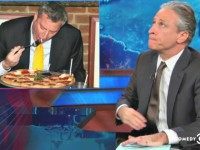 New York City Mayor Bill de Blasio defended Republican presidential candidate John Kasich after the Ohio governor was widely criticized for eating pizza with a fork in New York City.